After the book came out, as I conducted press interviews, gave speeches, and engaged with audiences of readers, I found that while many agreed with the premise of the book and its "Ask more questions" message, there also seemed to be a hunger for something more targeted and specific. People wanted to know which questions they should be asking with regard to a particular problem they might be facing or a goal they were pursuing. When I spoke to business leaders, for example, they tended to be most interested in questions that could help in running a company, whereas those at creative gatherings wanted to know how to ask questions that could spark ideas. Likewise with people seeking to improve personal relationships or with those grappling with difficult decisions about whether to accept a job or pursue a new passion—all were seeking the questions that might help them make better choices or achieve the best results in a specific situation. So with this book I focus on sharing productive questions and questioning strategies that can be applied to everyday situations. The questions featured come from a variety of sources. They derive from ideas and insights shared by entrepreneurs, life coaches, kindergarten teachers, cognitive behavioral therapists, chief executives, psychology professors, and neuroscientists, as well as an FBI counterintelligence agent, an acclaimed novelist, a venture capitalist, an improv performer, a Pulitzer Prizewinning playwright, a Nobel Prizewinning physicist, a U. S. Marine officer, a hostage negotiator, a risk-management specialist, and others. I tried to include a range of perspectives on how questioning can be used in various situations. Some of the questions in the book were originally asked years ago by people who are no longer alive—though the question lives on. 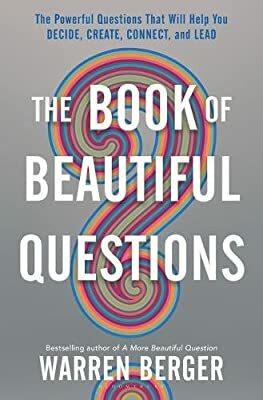 A handful of these questions were first mentioned in A More Beautiful Question, but I took the opportunity with this book to expand upon them and place them in a more specific context. Quite a few of the questions I formulated myself, with collaborative input from others. I used reverse engineering in many cases. For example, as I identified a common problem or pitfall in, say, decision-making, my challenge was to then construct a question or series of questions that might help someone avoid that particular pitfall when making decisions in the future. The result is a checklist manifesto, wherein the checklists are made up entirely of beautiful questions. What makes them beautiful? To me, any question that causes people to shift their thinking is a beautiful one. These questions are intended to do that—to remind you to slow down and think more, to broaden your perspective, to see past biases, creative blocks, and emotional reactions. In so doing they can help steer you in the right direction at critical moments when you're trying to 1) decide on something, 2) create something, 3) connect with other people, and 4) be a good and effective leader. These are the four broad themes of the book. In my conversations with readers and with audiences at my speeches, these four areas seemed to come up most—they are very much on people's minds. HOW CAN QUESTIONING HELP US DECIDE, CREATE, CONNECT, AND LEAD? In each of the four featured areas, questioning plays a central role. Decision- making (at least good decision-making) demands critical thinking—which is rooted in questioning. It has been suggested that critical thinking is in crisis today, as evidenced by a growing collective inability to distinguish fake news from the real thing (or real leaders from fake ones). We can blame the media or Facebook or the politicians themselves—but ultimately, it's up to each of us to work through the hard questions that enable us to make more enlightened judgments and choices. Asking oneself a few well-considered questions before deciding on something—a candidate, a possible career or life change, an opportunity that you or your business may be thinking about pursuing—can be surprisingly effective in helping to avoid the common traps of decision-making. As for creativity, it often depends on our ability, and willingness, to grapple with challenging questions that can fire the imagination. For people within an organization trying to innovate by coming up with fresh ideas for a new offering or for an individual attempting to express a vision in an original and compelling way, the creative path is a journey of inquiry. It often starts with identifying a singularly powerful "Why?" or "What if?" question (so many well-known creative breakthroughs, in business and the arts, can be traced back to a question of this type). But it doesn't end there. Knowing the right questions to ask at each stage of the creative process can guide the creator forward—steadily advancing from early stages of finding an idea to the final challenges of getting that idea "out the door" and into the world.